These tiny (3-11 pound) cats live in sandy and stony deserts in northern Africa and the Middle East. They can live far from water sources by utilizing moisture from their prey (rodents, snakes, etc). They are a pale yellow color with a ringed tail. 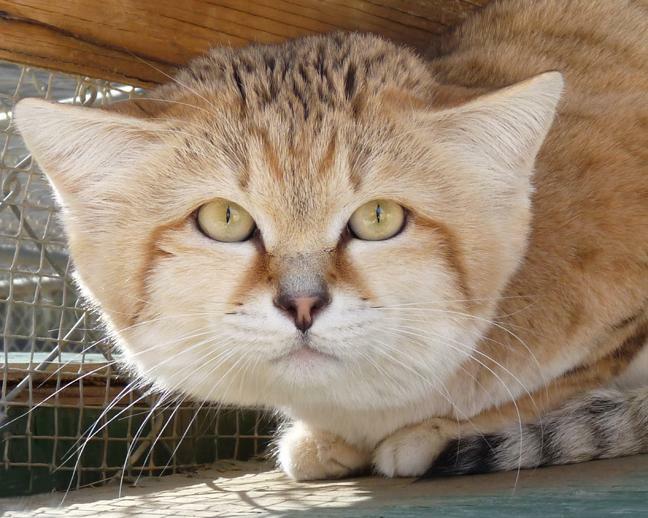 The sand cat's ears are large and set widely apart and low on the sides of the head. They are nocturnal in their native habitat.